With individual flutenumber (above the thumbhole). 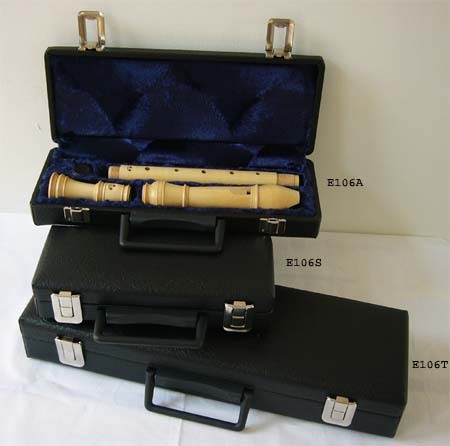 Supplied in wooden case de luxe (outside black leatherette, blue plush interior), tablature, with cleaning stick and corkgrease. 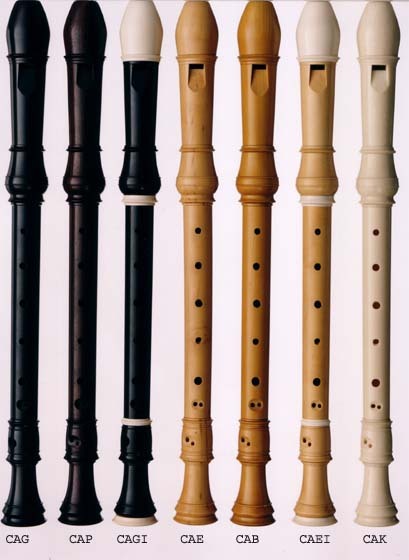 The recorder is decorated with a white mouthsleave and three white rings - underside head joint + upper- and underside foot joint.